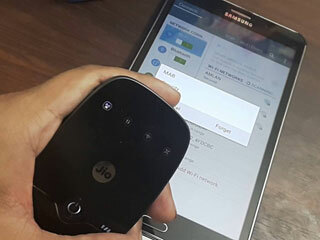 JioFi Dongle, JioFi device gives the possibility to multiple users and mobile devices to access Jio’s 4G high speed internet connection and create a personal WiFi portable hotspot. To be able to use services of JioFi Dongle or any other JioFi device, you need to create your SSID user ID and password. It will help you to login to JioFi 2/3 Admin Dashboard and manage and set up router’s configuration. Just use any internet browser, go to jiofi.local.html and enter administration page. Thus you’ll be able to find the number of your JioFi sim. If you forgot your JioFi number, or somehow lost it, there is no need to be upset, you can get it back easily. Finding your JioFi number is very simple process, which can be done in 2 ways. Process 1: First, what you should do is connect your JioFi device by using MyJio App. When you open an application, you will be asked to log in. Enter your username and password and your JioFi number will appear at the top of the screen. Process 2: Second way to return your lost JioFi number is by sending SMS to the manufacturer. Type Jio number and send it to 199 from any Jio Number. The operator will answer you immediately and text you back your number. Note: If you need to send text message from any Non Jio number, send it to 7021799999. After message is delivered, you will receive an SMS with your Jio number. Example: Send Jio IMEI number 123456789123456 to 199 or 7021799999. Note: You can find your Jio IMEI number if you open the battery compartment, remove the battery so you can see it. Or, you may also find it on the original JioFi box.